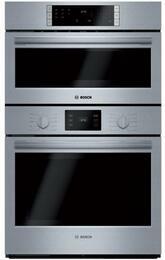 Wall ovens are a great alternative to the conventional cooking range. 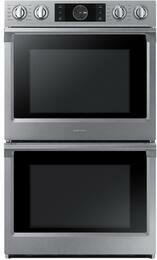 They allow flexible installations that can accommodate kitchen designs and suit ergonomic needs. 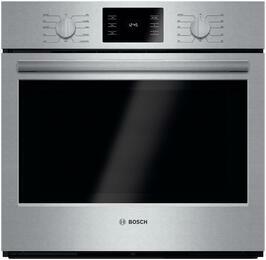 Wall ovens are available in a variety of styles and configurations to accommodate how you operate in the kitchen. Fuel types include gas, electric, and dual fuel, along with sizes from 24 inches up to 36 inches in width. 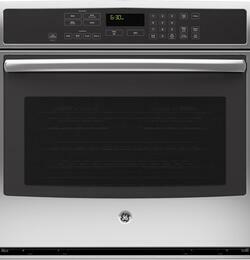 Single wall ovens can be installed underneath a cooktop or integrated with cabinetry for easy access. They can have up to 5.7 cu ft capacity, big enough to fit a large honey-baked ham. 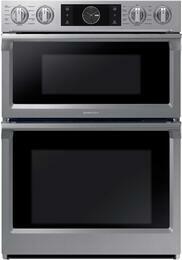 Select single wall ovens feature a drawer which can be used for storage, broiling, and warming. To quickly satisfy your hunger, speed ovens combine convection heating with microwave technology to quickly prepare dishes without having to sacrifice flavorful quality. For twice the cooking capability, double wall ovens will have you preparing a multi-course meal without breaking a sweat. 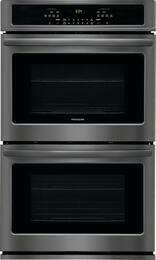 They can have up to a total capacity of 10.2 cu ft which will allow you to cook appetizers and main entrÃ©es all at once. Some double units go beyond functioning as an oven only. 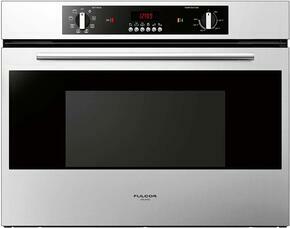 They can also include a microwave/oven combo, steam oven, and warming drawer. 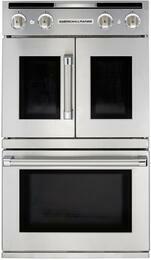 Many wall ovens feature a standard drop down oven door, so you can load and unload dishes with ease. Other door configurations also include side opening and French style. 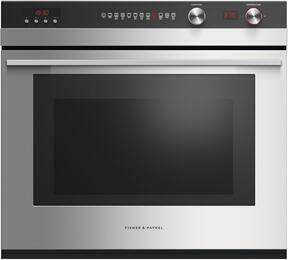 Many wall ovens come equipped with preset cooking programs that will have you creating delicious meals like a professional chef. Unevenly baked batches of cookies will be a thing of the past with a convection heating system. Convection fans evenly distribute heat throughout the entire cavity, so foods come out flawless every time. 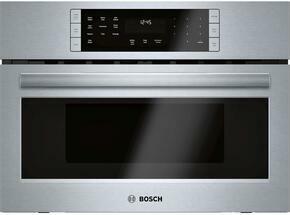 Operating your wall oven couldn't be any easier. Most models feature a digital control panel and touch pad, requiring only a few taps of your finger to adjust oven temperatures. 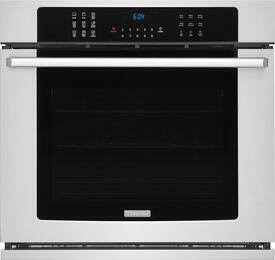 Wall ovens with Wi-Fi connectivity can be controlled remotely from your smart phone or tablet by downloading an app. You'll be able to set the delay bake, self-cleaning mode, and more on smart appliances from almost anywhere. 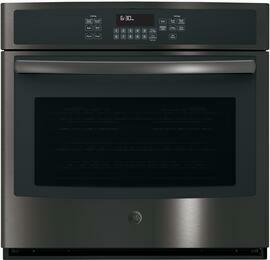 Find an oven that's a perfect fit for your culinary arsenal. 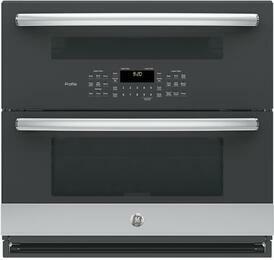 Appliances Connection has the best wall ovens from top brands Frigidaire, Thermador, GE, and more. Buy a select Fisher Paykel Appliance in a single transaction between July 1, 2018 - June 30, 2019 and get a five year warranty. You must register your product before August 31, 2019 after which no claims will be accepted. 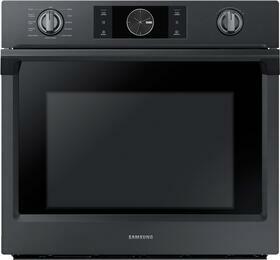 Samsung guarantees that your new 30 inch Samsung built-in wall oven or 30 inch or 36 inch cooktop will fit the cabinet cut-out that houses your existing wall oven or cooktop of the same width and configuration, or Samsung will give you up to $300 mail-in rebate to cover the cost of professionally modifying the height and/or width of your cabinet cut-out. Purchase 4 eligible Electrolux Kitchen Appliances - Refrigeration (Refrigerator or Freezer), Cooking (Wall Oven, Cooktop, Range or Microwave), Ventilation and Dishwasher EI24ID81SS to earn FREE Dishwasher Value of $999. 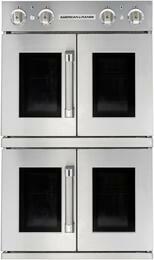 GE guarantees your new 27 inch or 30 inch GE Cafe Series, GE Profile Series or GE Appliances built-in standard single, double or microwave combination wall oven will fit your existing cabinet cut-out of compatible model with the same width and configuration or GE Appliances will provide up to $300 mail-in rebate toward the cost of professionally modifying your cabinet's height or width. 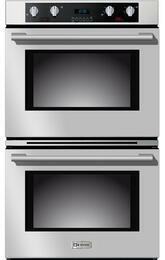 In order to qualify for GE Appliances Fit Guarantee you must replace your old Wall Oven with a matching configuration. Offer valid regardless of previously purchased brand. For more details please see rebate form. 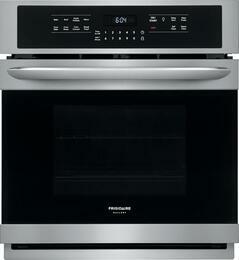 Get up to $300 back with the purchase of a qualifying Frigidaire Wall Oven/Micro-Combo and Cooktop. 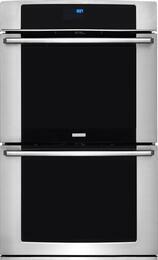 Frigidaire promises that your new 27 or 30 inch Frigidaire brand single or double wall oven will fit your existing cabinet cutout of the same width and configuration, or Frigidaire will reimburse you up to $300 for the cost of professionally modifying your cabinets height or width. Get up to a $300 or $500 rebate on select GE Cafe Series, GE Profile Series and GE Wall Oven display models, home delivery and installation. Receive 50% off* select Faber hoods with the purchase of a 30, 36 or 48 inch American Range or the combination of any American Range Wall Oven PLUS an American Range cooktop/rangetop. Selected Exterior Width Options: 30"